Chapin Hall honors the life and career of Harold Richman, PhD, founding director of Chapin Hall at the University of Chicago. He dedicated his life to improving the lives of children, families, and communities, and inspired countless others to do the same. In 1985, Dr. Richman led the board of Chapin Hall for Children, a residential home with a 120-year history of direct service to children, to redefine its purpose and become Chapin Hall at the University of Chicago. Its new mission was to serve children and youth by conducting research that informs child policy and practice. By partnering with local, state, and federal agencies and foundations and nonprofit groups, the newly conceived Chapin Hall pioneered strategies for collecting, linking, and analyzing agency data, and developed analytic tools and systems for monitoring child and youth outcomes. Dr. Richman led work at Chapin Hall to document and evaluate community-building initiatives and the role philanthropy played in those efforts. Chapin Hall’s work soon expanded beyond this focus to shape the thinking and build knowledge about other critical systems and influences on children, such as communities, out-of-school time activities, and other contributors to child and adolescent development. Chapin Hall’s work included engaging policymakers and practitioners to improve society’s responses to the needs of children and families. Dr. Richman led work at Chapin Hall to document and evaluate community-building initiatives and the role philanthropy played in those efforts. Chapin Hall also expanded in other ways, rapidly moving beyond its initial local focus on Chicago and Illinois to develop a national and international presence. 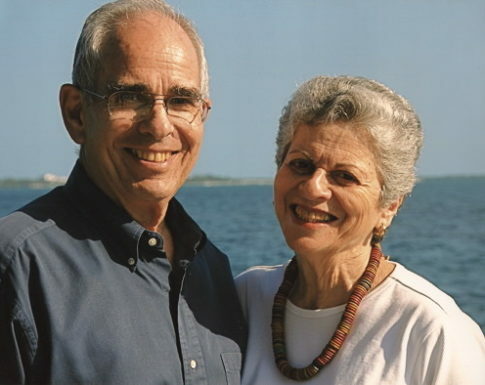 Dr. Richman was married to Marlene Richman, who was a revered career counselor for 36 years at the University of Chicago. The Marlene F. Richman Award for Excellence and Dedication in Service to Children was established by the University in her honor of her extraordinary commitment to young people. Dr. and Mrs. Richman had two sons, Andrew and Robert. In 2008, Chapin Hall and the School of Social Service Administration (SSA) at the University of Chicago established the Harold A. Richman Postdoctoral Research Fellowship, as a tribute to his gift for inspiring and guiding scholarship that betters the lives of children and families. Dr. Richman’s contribution to changing social policy is immeasurable, with a career spanning academia, government, and nonprofit organizations. He was a White House Fellow and special assistant to the Secretary of Labor from 1965 to 1967. In 1969, as a young academic, he was appointed dean of SSA, where, as the Hermon Dunlap Smith Professor of Social Welfare Policy, he was the youngest named professor on the faculty. He served as the dean of SSA until 1978. The Harold A. Richman Fund was established to commemorate his legacy of innovative thinking and creative research to improve the lives of children, their families and communities. Additional tributes to Dr. Richman may be found at A Celebration of the Life of Harold Richman.